Welcome to a seminar discussing human-animal relations in the Arctic. The event features an introduction by artist Anu Osva and talks by professor of animal genetics in Natural Resources Institute Finland Juha Kantanen, research professor in arctic anthropology Florian Stammler and social anthropologist Stefan Dudeck from the University of Lapland. Journalist Jussi Konttinen will be present. The seminar is a part of Osva's exhibition Kanssakulkijat / Co-Travellers taking place in SOLU Space from April 12-May 12, 2019. During their 8,000-10,000 years of domestication, taurine cattle (Bos taurus) have adapted to a wide variety of biogeographic zones and sociocultural environments as a result of natural and human-derived selection. 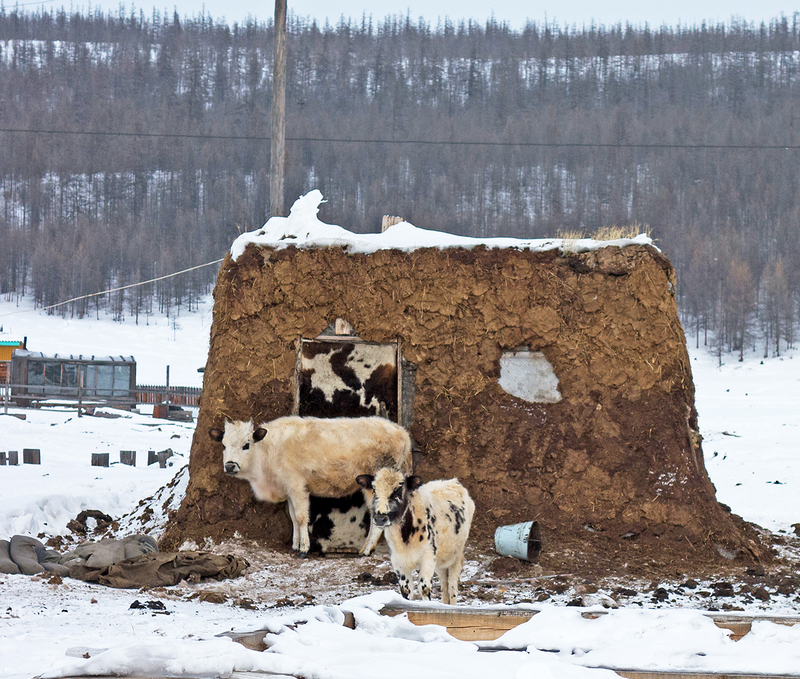 Fennoscandia along with northwestern Russia and the region of Sakha (Yakutia) in eastern Siberia, are the northernmost territories where cattle farming has had a relatively long tradition as the livelihood of local people. Genetic diversity of these northern breeds, such as Northern Finncattle, Eastern Finncattle and Yakutian cattle, has been investigated using various genetic markers and sequencing their entire genomes. In this presentation, these previous studies are reviewed particularly by focusing on the breeds’ adaptation to harsh environments and their values in the conservation of genetic resources for future animal breeding. PhD, Docent Juha Kantanen is professor of animal genetics in Natural Resources Institute Finland. He is a coordinator of the Finnish National Programme for Animal Genetic Resources. He worked as Head of Section at NordGen – Nordic Genetic Resource Center in Norway, 2009-2011 where he promoted and coordinated Nordic activities for conservation of farm animal genetic resources. Kantanen has participated in numerous national and international research projects on animal genetic resources, molecular and population genetics and genomics of animal species and valuation of genetic resources using multidisciplinary approaches. He has promoted networking particularly with Russian and Chinese research groups and has coordinated both national and international research projects. He has held several national and international scientific positions of trust and administration. Human life in the Arctic has always been intimately linked to animals. Domestication has made human-animal livelihoods symbiotically entangled. This talk will answer how and through what special characteristics do animals help humans to survive in the harsh environment and how do humans assist animals in their Arctic adaptation. Linked to Anu Osva’s exhibition, the analysis bases on fieldwork from Yakutia. There, people have preserved a livelihood based on the simultaneous keeping of three pastoral animal species: genetically unique breeds of the Sakha local cattle, the Verkhoiansk sub-breed of Sakha horse, and the Eveny reindeer continue to serve people in a uniquely composed pastoral livelihood with semi-nomadic elements. The specific way of knowing the animals and the environment is the basis of this livelihood, and this talk will illustrate with examples how this knowledge evolves out of the practice of reciprocity between all the agents in this relationship. Florian Stammler is Finland’s only research professor in arctic anthropology and the coordinator of the Anthropology Research Team at Arctic Centre, University of Lapland. He has lived and worked for 20 years with Arctic nomads in Russia and conducted comparative work in Norway and Finland. He has led several Finnish and international research projects, focused on nomads’ relations to their animals and the environment, on the impact of industrialisation on their lifestyle, and on their perception of social, political and environmental change, analysed through innovative methods combining oral history and participant observation. Among Stammler’s publications are ”Reindeer Nomads Meet the Market”, ”People and Reindeer on the Move” (co-edited with Hugh Beach) ”Good to eat – good to live with: Nomads and Animals in Northern Eurasia and Africa” (co-edited with Hiroki Takakura). Stammler is also active in producing TV programmes on these topics with the BBC and other companies, and he co-administers (with Stephan Dudeck) the blog https://arcticanthropology.org/. Domestication of animals we often imagine aiming at full control and dependency by human masters. The practices of Arctic horse, cattle and reindeer breeding appear to be based on different concepts, emphasising independence and distancing. On the other hand, we are not used to consider wild animals and especially predators like the brown bear as being part of the human oikos and our relatives, whom we have to pay respect, a practice widespread in Arctic indigenous cultures. My contribution will look at these practices of balancing distance and interaction in order to form mutual relationships, which enable humans and animals a sustainable, adaptive and resilient coexistence in Arctic environments. Recently new forms of governmentality put restraints on these interspecies interactions challenging the strategies of Arctic animal husbandry. Stephan Dudeck is a social anthropologist working at the Arctic Centre of the University of Lapland in Rovaniemi, the Centre for Arctic Social Studies at the European University at St. Petersburg and the Centre of Arctic and Siberian Exploration, Sociological Institute of the Federal Center of Theoretical and Applied Sociology at the Russian Academy of Sciences. He got his doctoral degree from Leipzig University with a work on the persistence of Khanty indigenous culture in the Western Siberian Oil-province and used to work at the Max Planck Institute for Social Anthropology in Halle/Saale in Germany. He conducted research in oral history of indigenous people in the Russian Arctic and on human relations with Arctic domestic animals. He is closely collaborating with Khanty people on the documentation of the intangible cultural heritage of the bear ceremony and is developing a research project on the conditions of non-heteronormative gender existences in Siberian communities.